NEW YORK (August 14, 2017) – FlightSafety International announces a new Integrated Growth and Achievement Preparation Program for students entering the FlightSafety Academy in Vero Beach, Florida. The program is comprised of a coordinated series of modules. They include ground school pre-study; STEM review; managing training deadlines; interacting with instructors; cockpit technology; health and wellness; and a variety of other important topics. Students will also benefit from seminars conducted by industry experts. “Our goal is to provide the knowledge and skills needed to excel at the Academy and to be fully prepared to become excellent First Officers and Captains. This pre-study program enhancement clearly demonstrates our commitment to provide the highest quality training and reinforces our position as a world leader in ab initio training,” added Nancy Ritter. FlightSafety Academy offers a wide variety of programs tailored to the specific needs of domestic and international airlines, government and military agencies, other flight training organizations, and individuals with no prior flight experience. 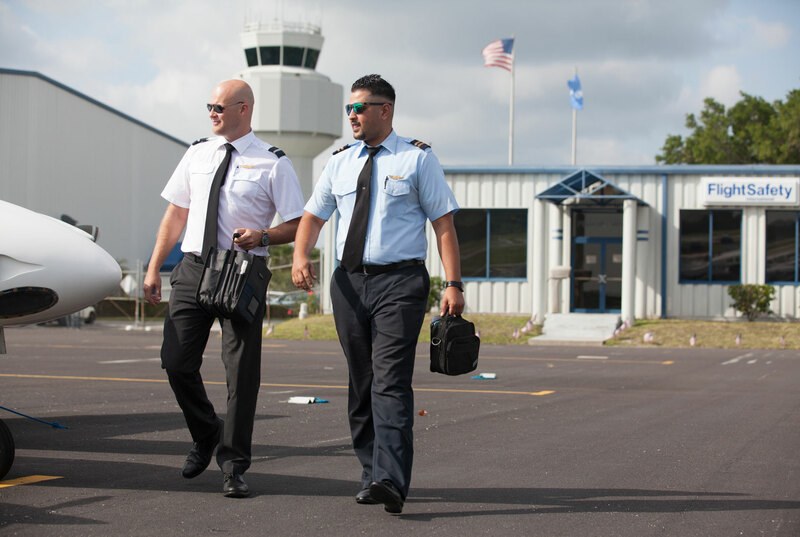 The 160 professionals, including more than 70 highly qualified and experienced Certified Flight Instructors who work at the Academy, help to ensure that graduates are prepared to fly safely, and operate an aircraft efficiently and effectively. The Academy’s fleet of close to 90 aircraft includes 26 new Piper Warriors, as well as Arrow and Seminole aircraft equipped with Garmin G500/650 series avionics. The aircraft are maintained to the highest standards and exceed FAA maintenance inspection requirements. Students fly out of an ATC controlled airport with instrument approaches under an airline style dispatch operation. 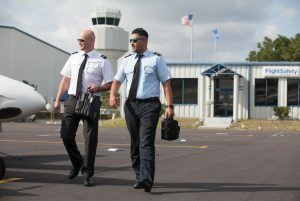 The 30-acre campus is equipped with a full array of training tools including multi-media classrooms, flight training devices, and an Air Traffic Control communications lab. The Academy has on-site accommodations for 300, a comprehensive library, pilot shop, and other amenities typical of a university.